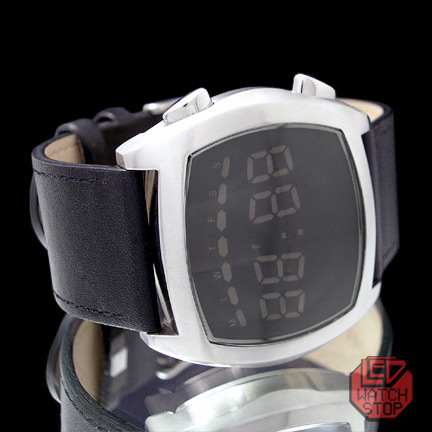 "The LED Watch Reinvented!" Huge TV screen styling with large curved glass lens and beautiful stainless steel case w/ screwback. An inovative blend of state of the art LED technology and distinctive retro design. 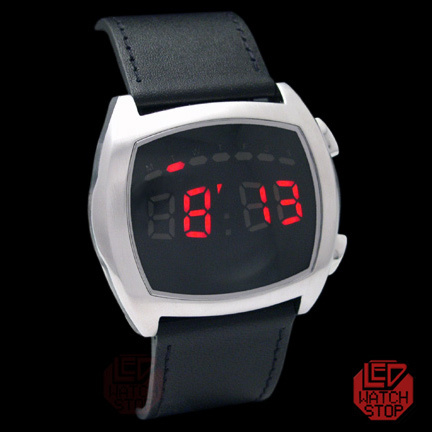 One of the most unique and beautiful LED watches on the market.....featuring an impressive 4 digit red display with one super bright LED per segment. An absolutely stunning, high quality timepiece that will be the topic of conversation and pride! Purchase for yourself or buy for someone special...your not going to be disappointed!